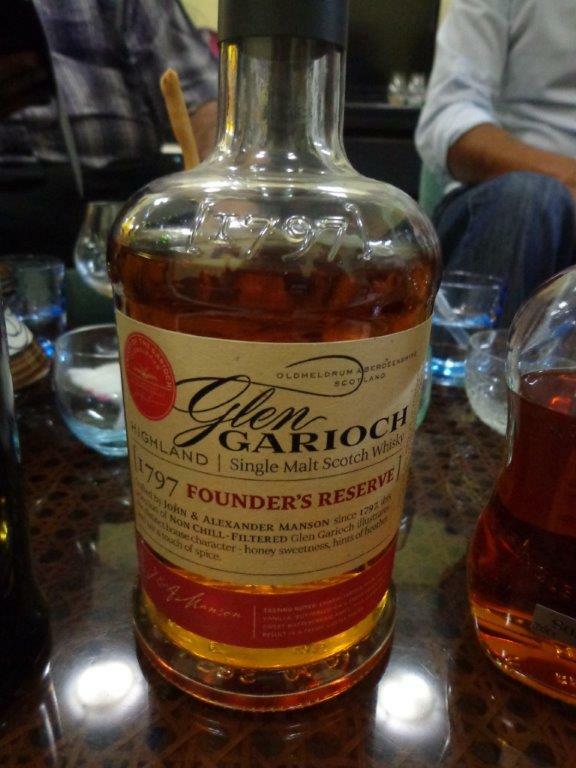 Part of a series of tasting notes from a monthly private whisky club in Mumbai, India. It was our first session of 2014 and our 3rd anniversary of monthly whisky quaffing explorations. Following our standard format, we blind tasted samples before revealing the whisky. This month featured: Jura Superstition, Glen Garioch 1797 Founders Reserve and Ardbeg Corryvreckon. The speculations proved correct! 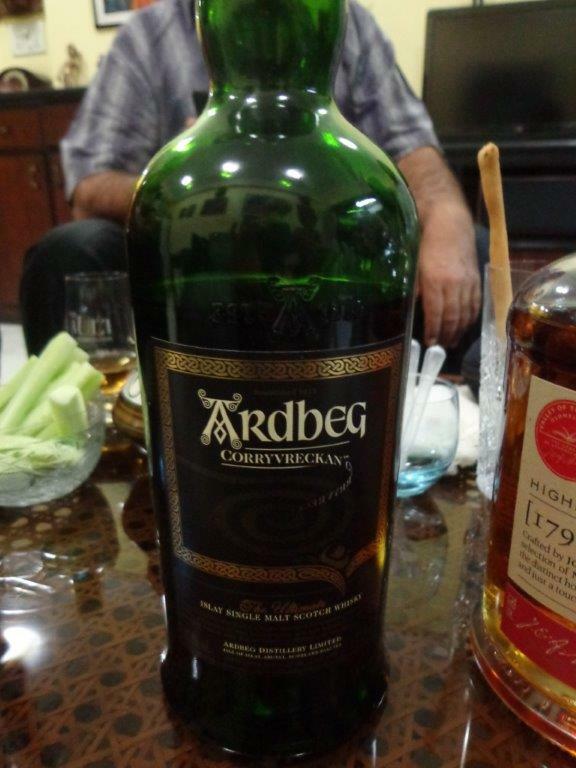 Colour was adjusted with caramel and it is a mix of young and aged (up to 21 years) whiskies in ex bourbon casks. Not bad however when bluntly asked “Would you want to stock this?” The honest answer was… probably not…. A clear favourite! The variation found in the nose followed through in the taste and finish. A very fine dram indeed! If this is what the whisky makers were up to in 1797, then it is a mighty fine recipe and well worth being reincarnated in the ‘Founders Reserve’. Without hesitation, would repeat, stock, savour and enjoy! Adding a dash of water brings out the sweet and spicy element, however most preferred this powerful whisky neat! 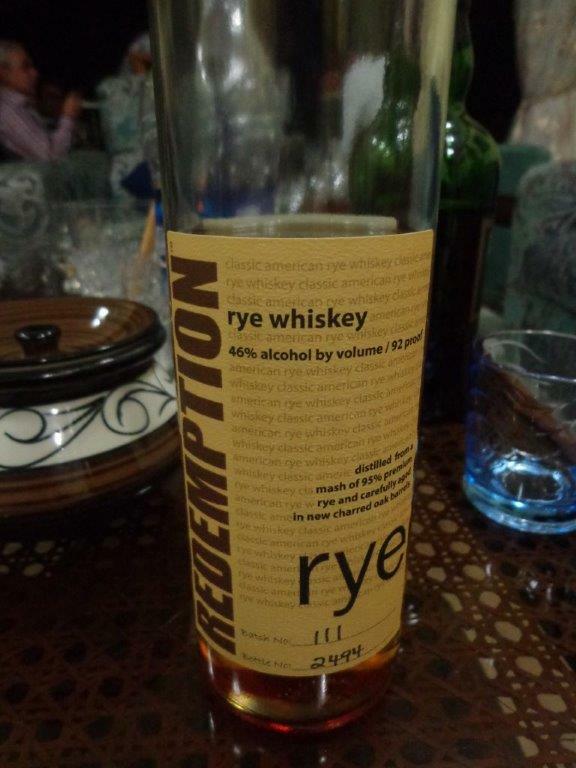 Redemption Rye – A delightful American Rye whiskey with cinnamon, wood and more! Our hosts outdid themselves with their experiments! From cheese stuffed dates, veg cutlets, kuasway, two sinful whisky soaked deserts. 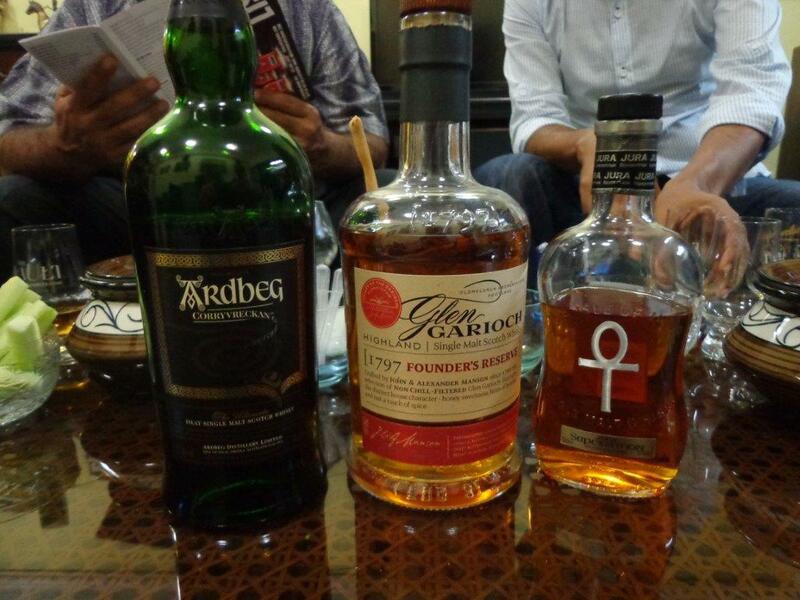 It was a remarkable evening with some exceptional whiskies. By Carissa Hickling in Whiskey, Whisky Reviews on February 27, 2014 .